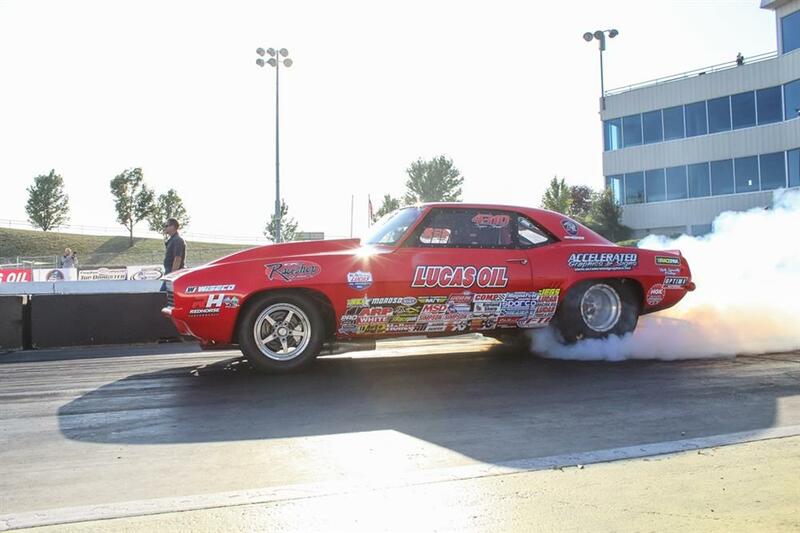 The AAA Texas Fall Nationals held at The Texas Motorplex have concluded. Although Chase-N-Dad Racing didn’t make a final round appearance, the weekend was still a major success. Rick was still in on Monday when the event was ran to completion after rain threatened competition all weekend. There were two qualifying runs on Thursday, one round of competition on Friday, one round on Saturday, one round on Sunday, and finally finishing the race with two rounds on Monday. The Super Comp competition was solid and Rick was overcome in round one by defending Super Comp World Champion, Austin Williams. Huffman didn’t allow the defeat to slow his drive and continued on to have a very encouraging weekend in the Super Street category defeating Donna Watson (E1), Mark McCall (E2), Lyle Owens (E3), and current Super Street points leader, Ray Dew (E4). Huffman eventually lost Round 5 to Val Harmon, who went on to win the event. Rick currently sits 4th in the Super Street Division 4 points standings and is only 56 points out of first place. Noble, Oklahoma will be his last race for points this season and he hopes to improve his position. “It was a long wet weekend, we had some ups and downs. Losing in round 1 to a-dub (Austin Williams) was tough, but to make a semi final appearance in Super Street made up for it. All in all, I am pleased with the performance with the car and myself this weekend,” Rick stated about the weekend. Although Chase had to sit this event out, he was still present and effectively representing Chase-N-Dad Racing and their partners. Chase had students from Crowley High School at the track on Friday morning introducing most of them to the sport of drag racing and the NHRA for the first time. Chase is currently 14th in points in the Super Comp division 4 point standings and is only 32 points away from a Top 10 finish. Chase-N-Dad Racing hopes to close out the season with an exemplary performance at Thunder Valley Raceway Park in Noble, OK. The event was originally scheduled for 10/12-10/14 but has been rescheduled for 10/26-10/28. Rick will be running Super Comp and Super Street and Chase will be trying to advance his position in points in the Super Comp category. With the reschedule of the event at Thunder Valley, the team’s next events will be bracket racing events. Rick will be headed to the Mickey Thompson Million Dollar Race in Montgomery, AL, while Chase will be headed to the Cowpasture Nationals at Ardmore Dragway in Ardmore, OK.